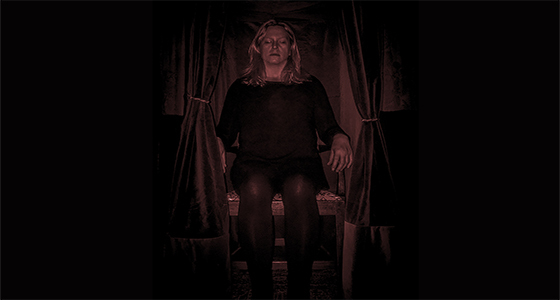 May was to be a very busy month for us personally and rather than miss our regular sitting, we decided to hold a red light seance whilst visiting Sri Lanka. The sitting was much shorter than those held in Gloucestershire but we managed to capture some remarkable conversations and voices, all of which are in English. The EVP below are shorter clips from the seance. A selection of the longer conversational captures feature on the video along with recordings from the field investigation at the Maritime Museum in Galle. EVP 1: Rachel was postulating on what His Holiness the Dalai Lama might make of EVP recordings. The voice that is captured belongs to a Scottish lady who is a regular communicator. EVP 2: Because the weight limit on luggage, Rachel's phone was in aircraft mode and a red screen saver employed to provide background lighting. EVP 3: Rachel was describing the presence of a male Buddhist monk who looked very much like the current Dalai Lama. EVP 4: Rachel is describing the physical characteristics of the monk. We have no reference to the comments that are captured here; we do not know who the lady is seeking permission from or who the male speaker is. EVP 5: Blackfoot, a native North American, has often been mentioned in our seances and field investigations, although his name is rather brusque is it recognisable. The second and third voices are male and have pronounced English accents, sadly they are unfamiliar. The question of why we investigate a historic property through EVP is an important one; we see the possibility, however remote, of communication with people that lived in another era to be an opportunity not to be missed. We have a passion for our heritage and why would you not want to talk to the people who actually made our laws; bold scientific pioneers, flamboyant socialites, royalty, the cleaners and everyone in between; they made us who we are. It is the nearest we can get to picking up a phone and asking questions to a first person witness and a participant of historic events. There are few places in England as evocative as Hampton Court Palace and even fewer that you can feel history seeping from every brick as you pass. You may not see the ghosts of residents past on your visit but you should prepare to experience the eerie feeling that you are never alone. Recordings at the palace are rarely uneventful, most have multiple clear voices that join us in conversation. The clips chosen highlight how actively engaged the communicators are at the palace. That's not to say we are always made welcome. Please note that this site is not commercial and is privately funded. Our investigations take place at sites and buildings that are open to the public and privately owned. Our studies, EVP recordings and videos are not endorsed by the owner(s) of the recording location unless specifically stated.